Professor Wadhams has not contributed an estimate this year but it can easily be seen that none of the estimates reach as low as the putative 1 million square kilometres. Nonetheless the view of 27 expert climate scientists put forward by Kay, Bailey and Holland (pdf), not to mention the very sophisticated RASM model (one of the most sophisticated in this area, run by the US Naval Postgraduate school), put the September extent at a very low 3-4 million km2, in the same range as the record low of 2012. It will be interesting to see how low it does go. The latest results from the polar portal show that Arctic sea ice is currently still on the record low 2012 line but a careful look shows also that the 2012 and 2013 curves diverge around mid to late June. The year 2013 is pretty representative of a “new normal” over the last 4 years or so, it is therefore difficult to tell based on simply extrapolating along the curves which path 2016 is likely to follow. The current weather plots on the Polar Portal (based on weather forecasts produced by the European Centre for medium Range Weather Forecasting, probably the best numerical weather model in the world) show no unusual temperatures in the Arctic Ocean right now, though parts of Arctic Canada and Siberia certainly look warm. Original post below from June, 14th, 2016. The Polar Portal has become part of our daily life at DMI where I work in the last few years, it combines detailed observations and models from the Greenland ice sheet, the Arctic sea ice and, soon hopefully, permafrost. 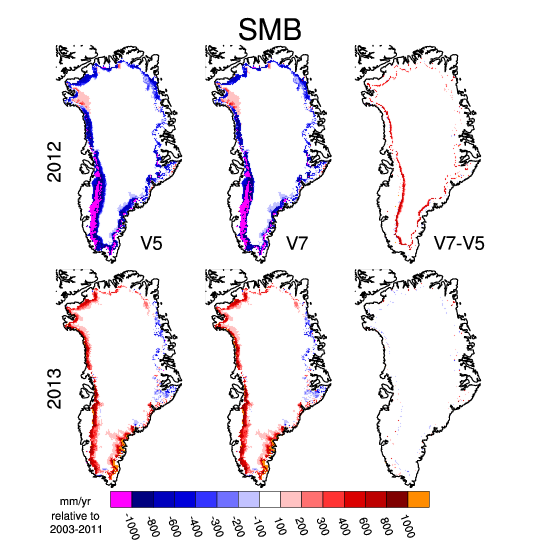 I am particularly involved in the Greenland pages where we daily calculate the amount of snowfall and snow melt which gives us a surface mass budget and which we sum up over the year to work out what it means for the health of the Greenland ice sheet. This year has been especially interesting with an extraordinarily early start to melting driven by warm Arctic temperatures. Many records in Greenland have been broken in April, May and June. Spectacularly, last week Nuuk set a new temperature record for June that managed to last only 24 hours, before it was broken again. This is the new reality in the Arctic. And it is also having an effect on sea ice. The Arctic sea ice extent has long been used as a bellwether of climate change with much effort exerted by both activists and sceptics in trying to prove or dismiss claims about climate and its effects on sea ice. I trained as a glaciologist originally, but even then I came across sea ice and was first of all unnerved by it, crossing on scooters to visit glaciers in Svalbard, and then fascinated by it. Recently I have been working pretty closely with my colleagues in DMI who are sea ice scientists and I have learnt quite a lot. We even published a paper together in the journal Polarforschung earlier this year. 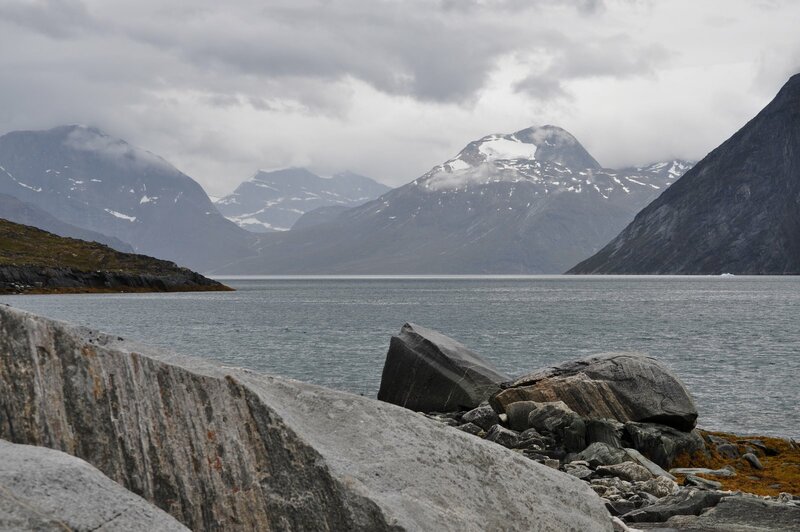 Not only that, I am now part of a big ERC Synergy project known as ice2ice with scientists at four institutions in Bergen and Copenhagen working on the complex connections between sea ice, ocean, atmosphere and ice sheet in the Arctic. More on that another time, but suffice to say it’s fascinating work and I know a hell of a lot more about sea ice than I did even three years ago. So when this news story crossed my email this evening courtesy a BBC researcher and journalist I knew pretty well straight away what it was about. Basically the scientist Professor Peter Wadhams had made some statements about the extent of Arctic sea ice which might be considered somewhat eyecatching. Professor Wadhams is a well-known scientist who did some incredibly valuable and indeed ground-breaking early work on sea ice. More recently he has also done some very valuable work reconstructing thickness based on submarine observations during the Cold War (see below on why this is important). I well remember seeing him talk about this as a young graduate student, he is an excellent speaker and gave a very interesting and compelling talk. In the last few years he has made several statements that have been widely reported and perhaps misinterpreted, with regard to the future fortunes of the Arctic sea ice. Now, I need and want to be clear about this. Most of the global climate models we use are not very good at reproducing the observed historical sea ice extent. They have improved significantly in the last few years but still struggle to reproduce the actual observed decline in sea ice area from satellites. And there are actually very good reasons why this should be. There are some very good stand alone sea ice models which have done a very good job and the key difference between these models is our clue. Sea ice models are generally partly forced with actual observations, or climate reanalyses which assimilate observations, so the atmosphere and the ocean are close to reality. Basically sea ice responds to weather, and if you have a more accurate weather driving your sea ice model you will get a better fit to the observations. So, is Professor Wadhams correct? Will the sea ice “disappear” this year. Well, it is pretty clear that given the changes we have already observed in the Arctic, as well as what we know about Arctic amplification and the general direction that anthropogenic emissions are heading in, that unless something changes pretty soon, we will likely see an end to a significant cover of sea ice in the Arctic at some point in the next few decades. But was does that actually mean? Reading his actual comments in the article he appears to define 1 million km2 as “no sea ice” and that partly reflects how we define sea ice extent. Since most of the data sets use a cut-off figure (typically 15%) to define when a grid square or pixel is or is not a sea ice point. This is known as sea ice concentration and is really something of a hangover from the days when sea ice was observed from ships and an attempt was made to estimate how much sea ice in the area was around the vessel. There are however lots of things that can affect sea ice extent, including winds and currents and melt ponds. 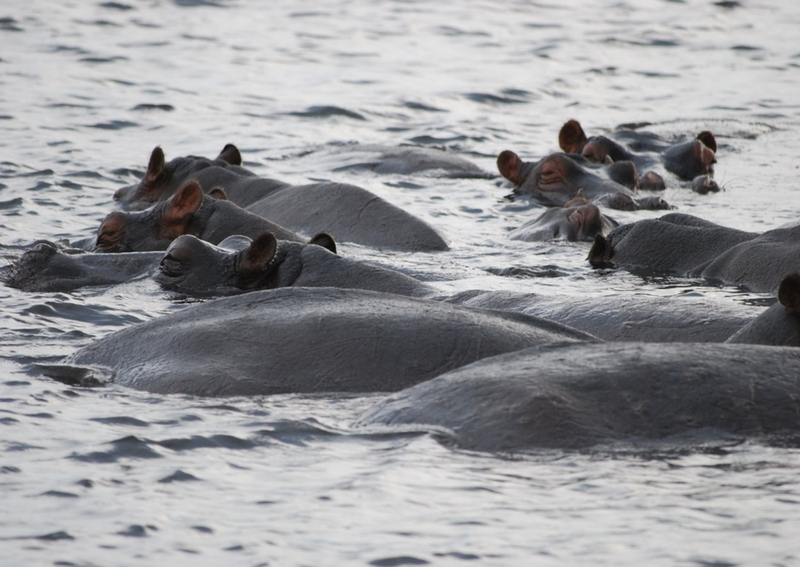 The latter also affects how different algorithms assess the area that is or is not covered by sea ice. As there are a number of different sensors in use and a number of different algorithms processing that data, it is not entirely surprising that there actually a number of different estimates (I will use OSISAF) for how much of the Arctic is covered in sea ice. And this number will vary in years with more winds for example, or stronger ocean currents, sea ice will disperse faster. 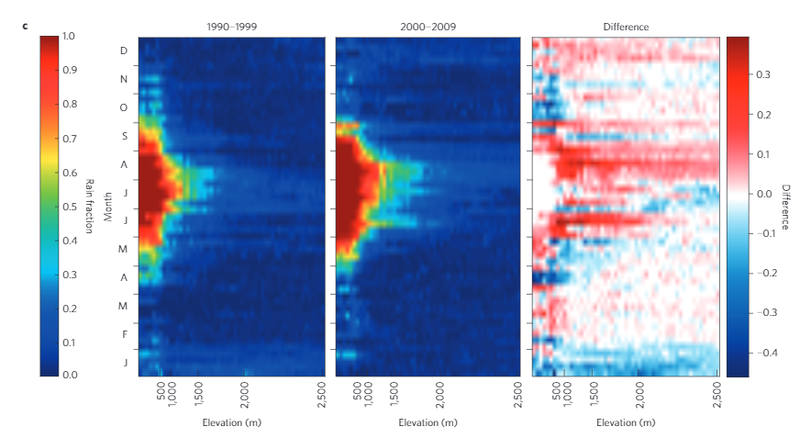 It is quite likely that much of the variability in sea ice area in recent years is at least partly attributable to different winds, as well as, for example in 2012, big storms that have arrived at just the right moment (or wrong one depending on how you look at it), to break up the sea ice into smaller, more easily transportable pieces. As an aside, a better measure for how much Arctic sea ice there is actually present is sea ice volume. Unfortunately this is very difficult to measure, especially outside the winter freeze up season, though a research group at the UCL, centre for Polar Observation and Monitoring have developed a way to do so. Here for example is the most recent plot, which as you can see has not been updated since May 2016 due to the presence of melt ponds on the surface of the sea ice which the Cryosat radar cannot penetrate. So 1 million km2 is probably a reasonable cut off for assuming an “ice-free” Arctic in the sense that it indicates that there will still be some sea ice drifting around (it always forms surprisingly quickly when the winter begins) in summer, even if it is dispersed. Over the last 40 or so years (we have good observations going back to 1979, it gets patchy after that), in September, when the area covered by sea ice is at it’s lowest, that extent has been between about 7 and 9 million km2, more recently that has dropped and 2012, the lowest on record had an extent of about 4 million km2, which you can see on the latest polarportal sea ice chart below. I well remember 2012, we had a large melt event over Greenland that year also, but it was still quite a long way from the 1 million km2 quoted by Professor Wadhams. Again, let me be clear, we are pretty sure that at some point on a time scale of a few years to a few decades, the Arctic will become “ice-free” in the summer time. We can predict this, even if we don’t know exactly when, since, as I hope is clear now, sea ice conditions are very dependent on the weather. The weather this year so far, at least this Spring has been very warm and congenial to sea ice melt. The big dive shown on the graph above is no mystery when considering some of the temperature anomalies in the Arctic, as shown also on the Polar Portal. Nevertheless, the recent plots seem to show that the 2 metre air temperature in the Arctic is returning to close to normal and there is little reason to suppose that will change significantly anytime soon. Having said that, weather forecasting has improved massively in the last few decades, a true quiet revolution, but we still do not know how the weather will pan out over the whole of this melt season. I am sure that at some point Professor Wadhams will be proved correct, but we do not know when and it is even possible or rather likely that we will have a few years where we switch back and forth between ice free and not ice free conditions. So, the answer to the question I pose above is probably no. But don’t bet on it remaining so for too long. UPDATE: I recalled this morning on my way in to work that I had somehow failed to mention the Sea Ice Prediction network. This group of people under the auspices of ARCUS, gather predictions on y´the end-of-season sea ice extent ever year. The call for predictions for the 2016 season is now open. Many different research groups as well as one or two enthusiastic amateurs will post their predictions over the next few weeks. It is an interesting exercise, as you can see based on last year’s report (see also figure below), it is not the first time that Profgessor Wadhams has predicted a 1 million km2 extent in September, and his is the lowest (and least accurate) in the rankings. Posted on 14 June , 2016 12 July , 2016 Categories science, Snow and ice, UncategorizedTags Arctic, climate change, fieldwork, Science, Sea Ice2 Comments on A Sea-Ice Free Arctic in 2016? I’m off to the UK next week for a workshop at Sheffield University where we will discuss the Surface Mass Balance of the Greenland Ice Sheet. 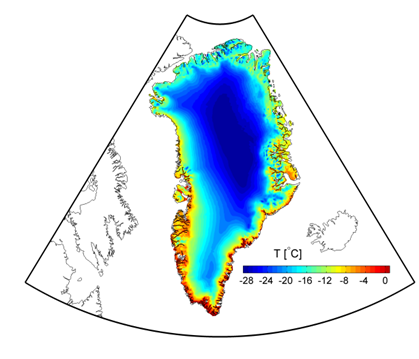 The ISMASS workshop includes all the main modelling groups and observation groups who are involved in assessing surface mass balance in Greenland. I will be representing DMI’s Greenland SMB work there (not an easy task condensing it down to a 20 minute talk!). In the course of preparing my presentation I have been making plots and figures and really investigating some exciting results. Sadly, I very rarely get the chance to spend time on this these days and I am keen to recruit students to assist in this work. Should any potentially interested students want to discuss this at Sheffield do let me know. At the risk of spoilers in my presentation, here for example is one showing how different ways of characterising the surface snow pack affects our estimates for surface mass balance, and how the effects of the specific changes can be very different in different years. Surface mass balance for the hydrological year (Sep -Aug) ending in 2012 and 2013 calculated using HIRHAM5 with 2 different surface schemes. The maps on the right show the difference between the 2. As I mentioned I rarely get enough time to analyse the output from our runs and I would be very happy to hear from any students who are interested in doing a project on our simulations. We have lots of MSc and Bachelors projects already listed on our website at DMI but we are always happy to hear new ideas from students on related topics. I have terabytes of data from simulations I would like to be properly analysed and this could be very interesting given we are talking about Greenland and the Arctic in the present day and in the future. It’s a really nice opportunity to work with some cutting edge research. I am also happy to hear from students who would like to do a summer project and for the right candidate I would be able to look into a paid “studentmedarbejderhjælper” position for a few months, especially if you are already a trained computer science candidate…. If you are an undergraduate looking into an MSc, I urge you to consider Denmark. EU citizens usually qualify for generous support grants (rare these days!) as we have a shortage of candidates wanting to study in the sciences in Copenhagen. 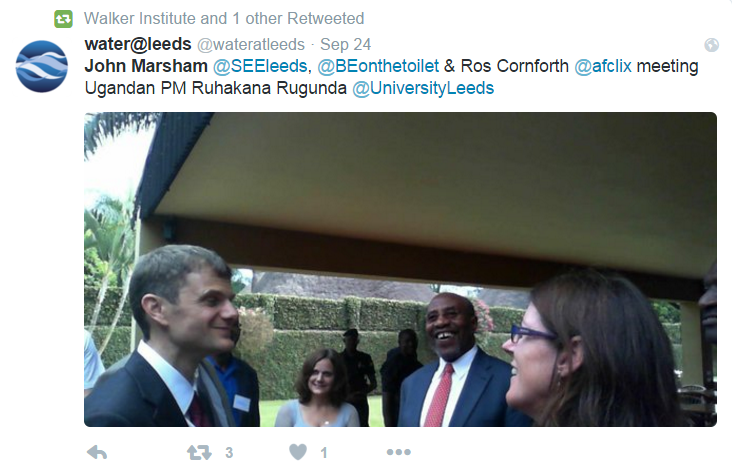 The research and teaching are world class and done in English at MSc level. The possibilities for projects in Greenland are literally endless. If you want any more details or to talk about any of the possibilities, do get in touch! A paper my colleague Peter Langen wrote together with myself and various other collaborators and colleagues has just come out in the Journal of Climate. I notice that the Climate Lab Book regularly present summaries of their papers so here I try to give a quick overview of ours. The model output used in this run is available now for download. The climate of Greenland has been changing over the last 20 or so years, especially in the south. In this paper we showed that the amount of melt and liquid water run off from the ice sheet in the south west has increased at the same time as the equilibrium line (roughly analogous to the snow line at the end of summer on the ice sheet) has started to move up the ice sheet. Unlike previous periods when we infer the same thing happened this can be attributed to warmer summers rather than drier winters. The area we focus on in this study is in SW Greenland close to Nuuk, the capital. White shows glaciers, blue is sea, brown is land not covered by ice. We focused on the area close to Nuuk, the capital of Greenland, as we had access to a rather useful but unusual (in Greenland) dataset gathered by Asiaq the Greenland survey. They have been measuring the run off from a lake near the margin of the ice sheet for some years and made this available to us in order to test the model predictions. This kind of measurement is particularly useful as it integrates melt and run-off from a wider area than the usual point measurements. As our model is run at 5.5 km resolution, one grid cell has to approximate all the properties of a 5.5 km grid cell. Imagine your house and how much land varies in type, shape and use in a 5.5 km square centred on your house and you begin to appreciate the problems of using a single point observation to assess what is essentially an area simulation! This is even more difficult in mountainous areas close to the sea, like the fjords of Norway or err, around south west Greenland (see below). 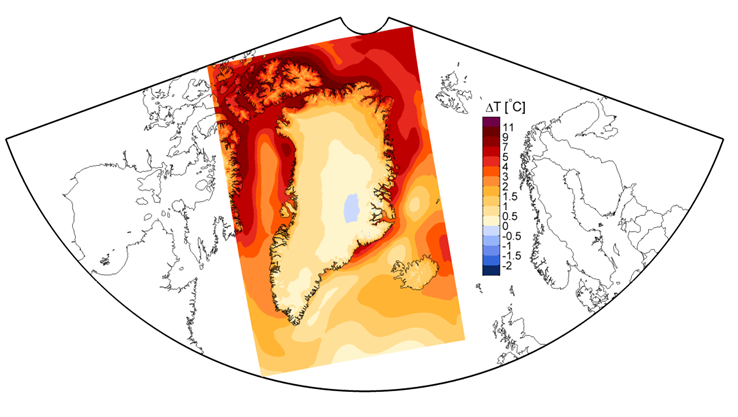 The HIRHAM5 model is one of very few regional climate models that are run at sufficiently high resolution to start to clearly see the climate influences of mountains, fjords etc in Greenland, which meant we didn’t need to do additional statistical downscaling to see results that matched quite closely the measured discharge from the lake. 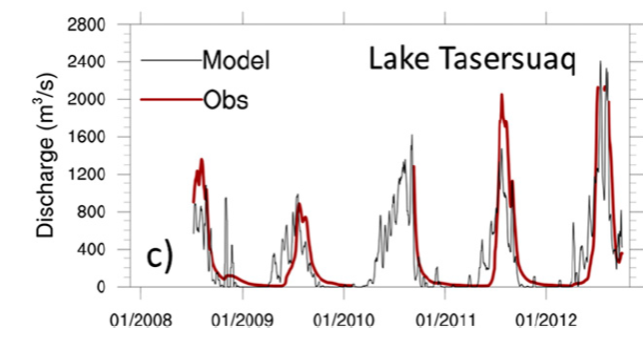 Graph comparing modelled versus measured discharge as a daily mean from Lake Tasersuaq near Nuuk, Greenland. The model output was summed over the Tasersuaq drainage basin and smoothed by averaging over the previous 7 days. This is because the model does not have a meltwater routing scheme so we estimated how long it takes for melt and run-off from the ice sheet to reach this point. We were pretty happy to see that HIRHAM5 manages to reproduce this record well. 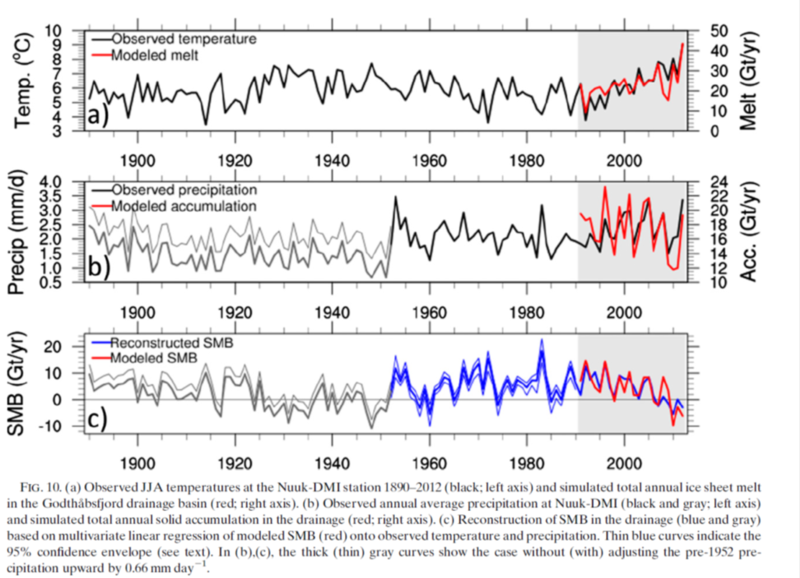 There’s tons of other interesting stuff in the paper including a nice comparison of the first decade of the simulation with the last decade of the simulation, showing that the two look quite different with much more melt, and a lower surface mass balance (the amount of snowfall minus the amount of melt and run – off) per year in recent years. Red shows where more snow and ice melts than falls and blue shows where more snow falls than is melted on average each year. 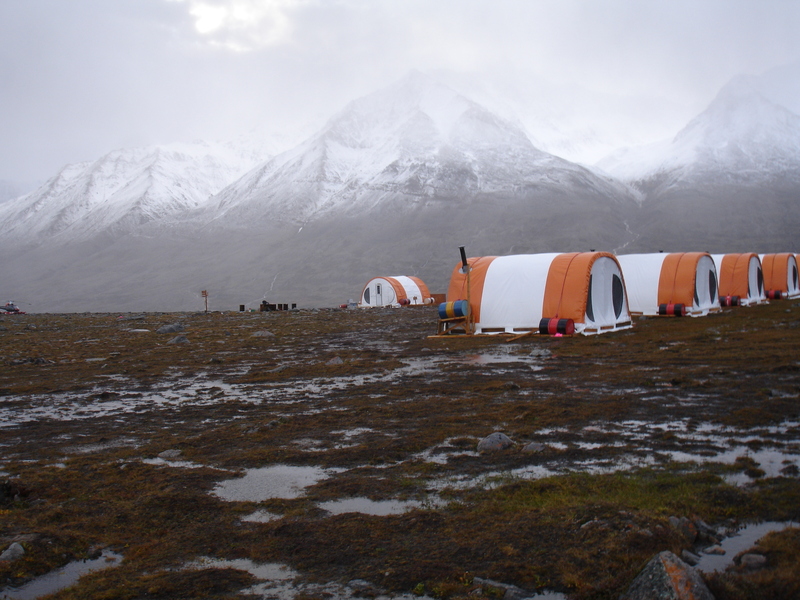 Now, as we work at DMI, we have access to lots of climate records for Greenland. (Actually everyone does, the data is open access and can be downloaded). This means we can compare the measurements in the nearest location, Nuuk, for a bit more than a century. Statistically we can see the last few years have been particularly warm, maybe even warmer than the well known warm spell in the 1920s – 1940s in Greenland. 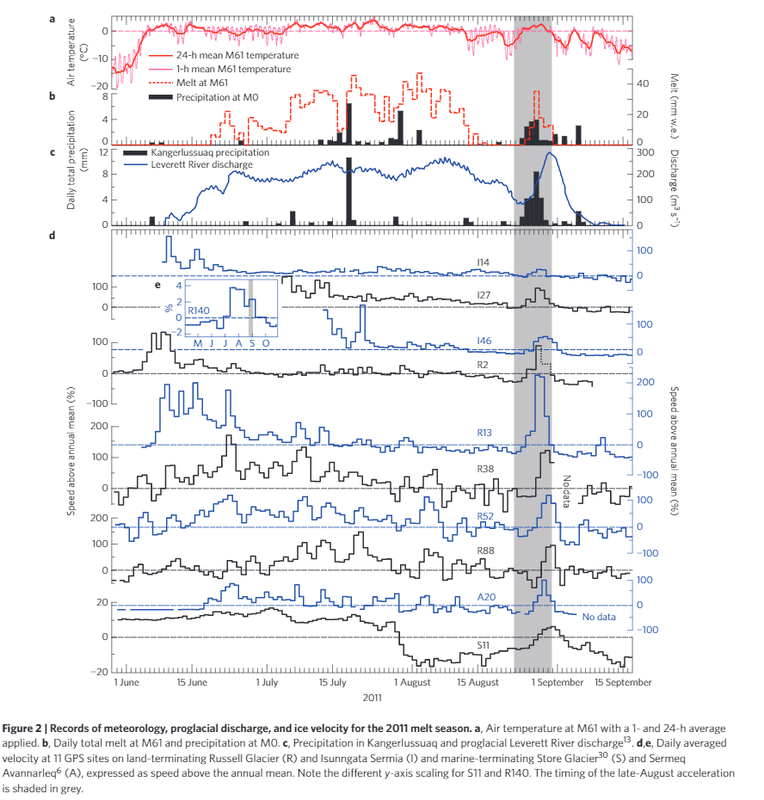 There is lots more to be said about this paper, we confirm for example the role of increasing incoming solar radiation (largely a consequence of large scale atmospheric flow leading to clearer skies) and we show some nice results which show how the model is able to reproduce observations at the surface, so I urge you to read it (pdf here) but hopefully this summary has given a decent overview of our model simulations and what we can use them for.